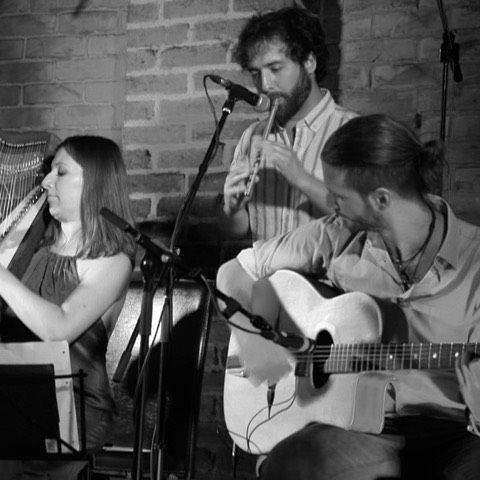 Harp Bazaar was born in the minds of Tara Minton (harp&vocals), Duncan Menzies (fiddle) and Filippo Dall’Asta (guitar) in London in late 2015. 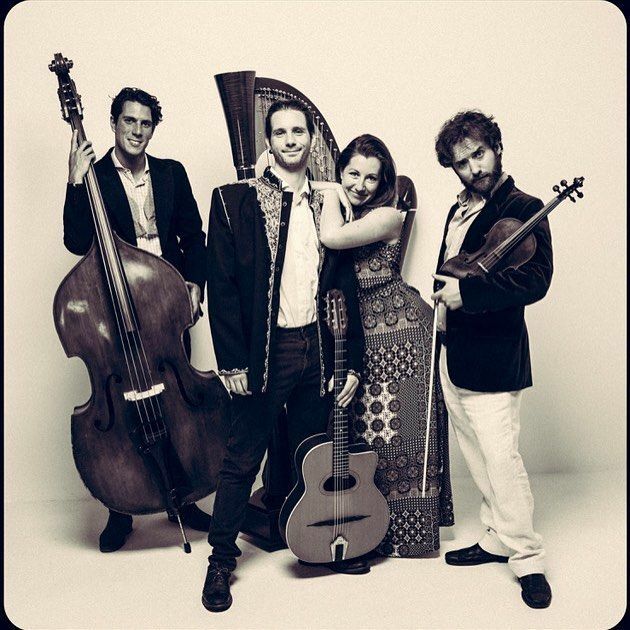 The three musicians met on a session and embarked on a unique musical experiment: to combine the majestic and delicate sound of the harp with the speed and erratic energy of traditional Gypsy swing. 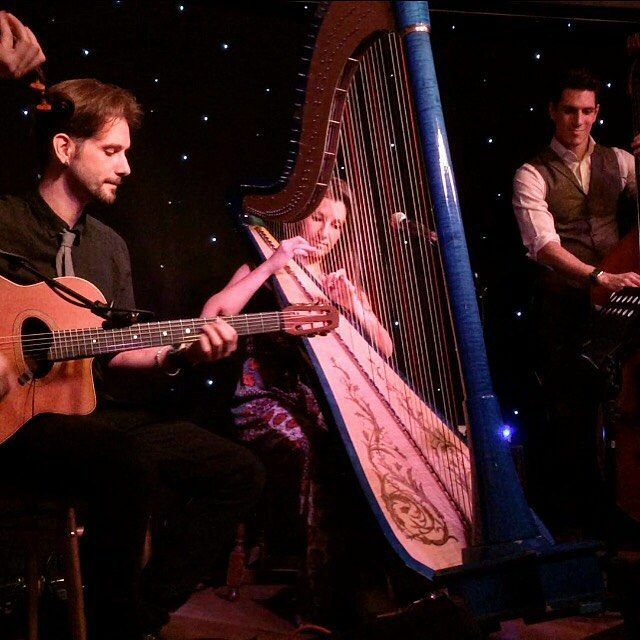 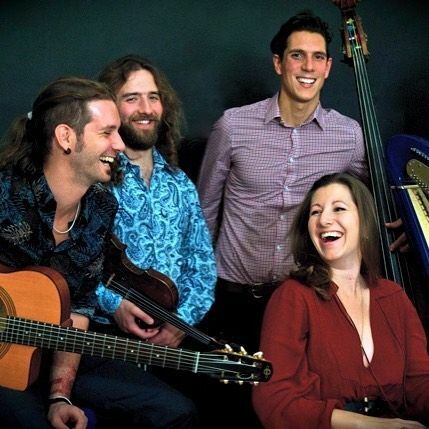 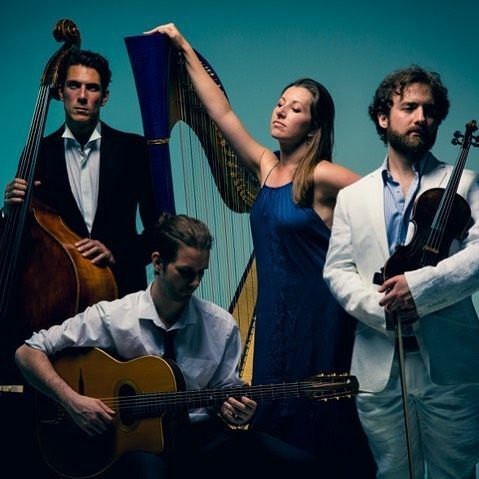 The band has performed at Le QuecumBar, London’s most famous Gypsy jazz venue, held a year-long residency at North London’s favourite music pub - The Boogaloo, toured Italy in July 2016 and performed at the Royal Albert Hall in April 2017… Welcome to the new world of Harp Bazaar, something you’ve never heard before!